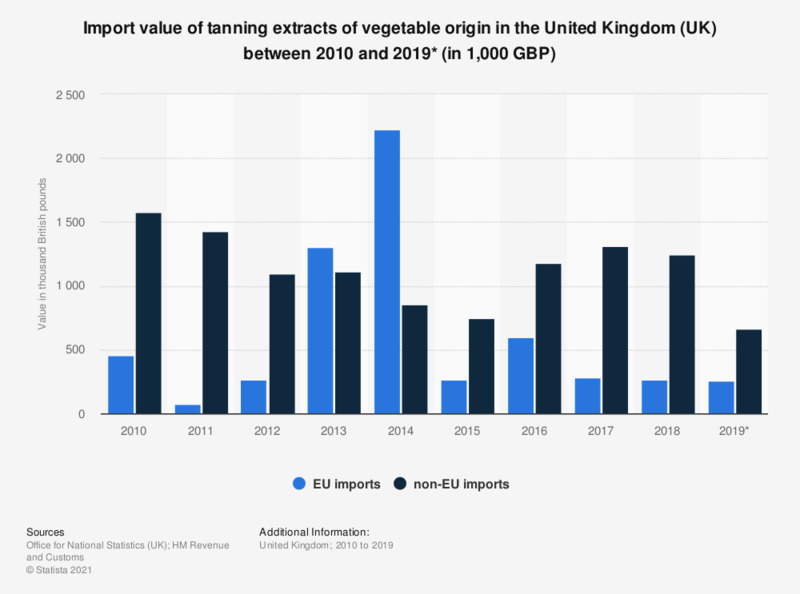 This statistic shows the value from EU and non-EU imports of tanning extracts of vegetable origin in the United Kingdom between 2010 and 2018. The EU was clearly an important trade partner for the United Kingdom over this period. EU imports of tanning extracts reached a value of 285 thousand British pounds in 2017. Tanning extracts of vegetable origin, tannins and their salts, ethers, esters and other derivatives.